A Republican senator is questioning whether the Small Business Administration’s flagship loan program puts taxpayer money at risk without enough oversight. 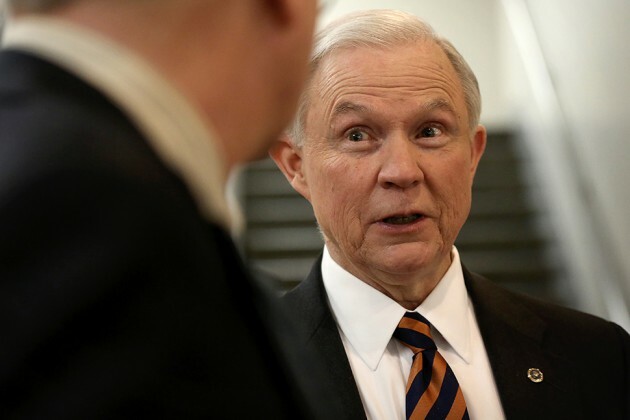 Earlier this month, Senator Jeff Sessions of Alabama wrote to new SBA chief Maria Contreras-Sweet, to raise concerns that the agency “has not met the high standards required in providing loan guarantees.” Specifically, the lawmaker says that the agency’s 7(a) program, which backstops private lenders by guaranteeing up to 85 percent of the value of small business loans they make, allows banks to lend with little regard to whether the borrower will be able to pay. In an e-mail, an SBA spokeswoman wrote, “we believe our 7(a) program is strong and these criticisms are unfounded,” pointing out that the program didn’t need subsidies to cover losses. Those requests come after Senator Richard Burr (R-N.C.) introduced a bill in December that proposed eliminating the SBA as a stand-alone agency. The plan got attention at the time, partly because it resembled an earlier proposal floated by President Obama, and partly because the White House had allowed the SBA to languish without a permanent leader. Sessions sits as ranking Republican on the Senate Budget Committee, which helps determine funding for SBA loan programs. His call for a more transparent accounting of SBA lending echoes concerns raised by the agency’s inspector general and by the U.S. Government Accountability Office about oversight at the agency. The GAO found last September that the SBA has a pattern of starting new programs without gathering “information needed to assess their performance,” auditors wrote. The watchdog was writing specifically about pilot programs. Sessions argues that larger, established programs also merit a closer look.